This book is first and foremost a self-help book. It is almost incidental but clearly also a book on becoming spiritual. This book is about a devotee businessman, Maha Sinnathamby, a long-time devotee who used the precepts of Swami Vivekananda to get ahead in both the worldly sense, and the spiritual sense. He had to endure many trials, often close to bankruptcy as he pursued his dream. 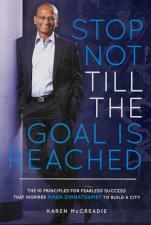 In the process, he became Australia's 49th richest person, yet retains his spiritual view of life. Here's an inspiring story for devotees who need to make money and work in the world, but don't want to be swallowed up by worldliness in the process. 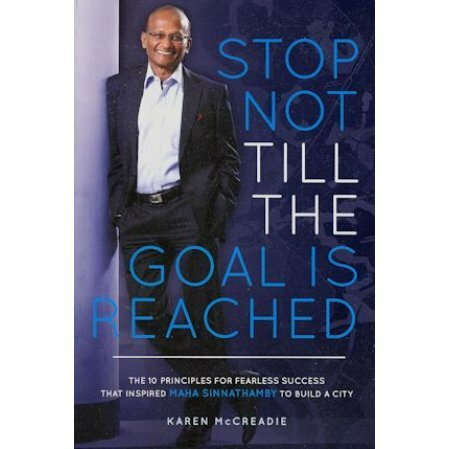 Learn Maha's 10 principles for success that inspired him to build a city, and see how they can be adopted by you. Special price for Vedanta Catalog customers.